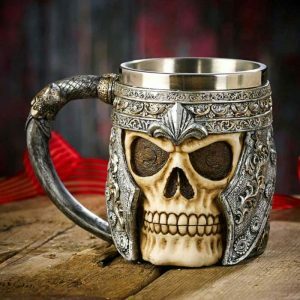 The Pirate Skull Mug is Absolutely Unique and Badass. This large and empowering skull tankard cup features the skull of a menacing sea pirate, that was probably beheaded by the east India Company. This stunningly well detailed and realistic tankard is great for holding ale, stout, lager beer or what ever you wish to drink in it… EVEN TEA & COFFEE! Hand painted on quality cast resin, this Gothic drinking vessel will get your friends talking, just hold it high and it will impress the socks off them. 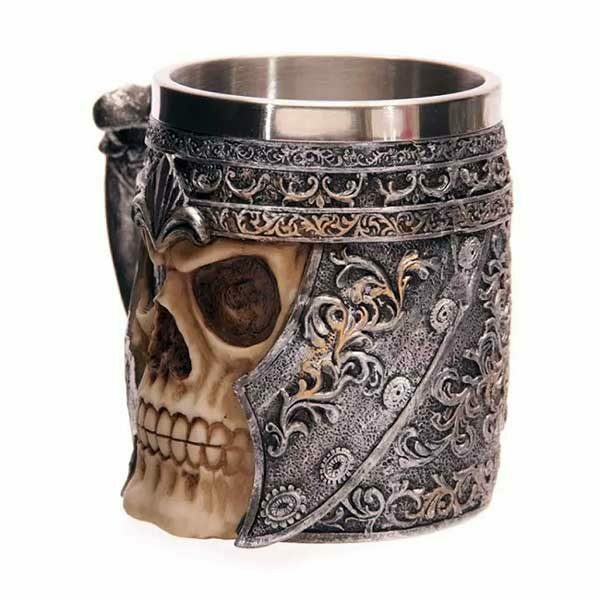 This tankard is made with resin with a stainless steel insert for ease of cleaning. 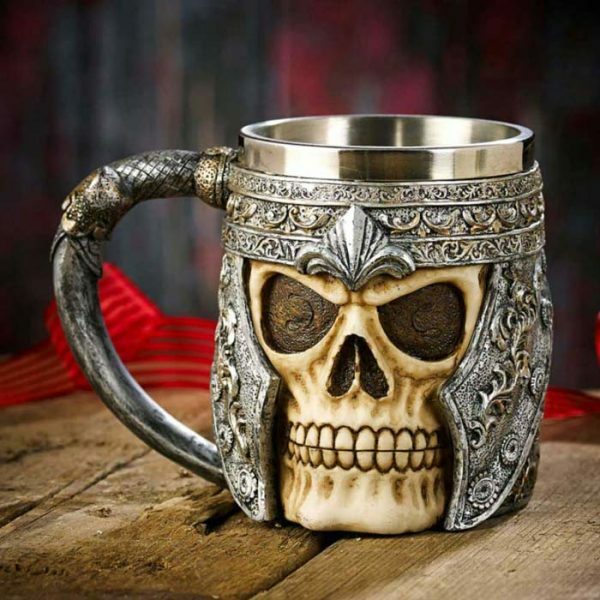 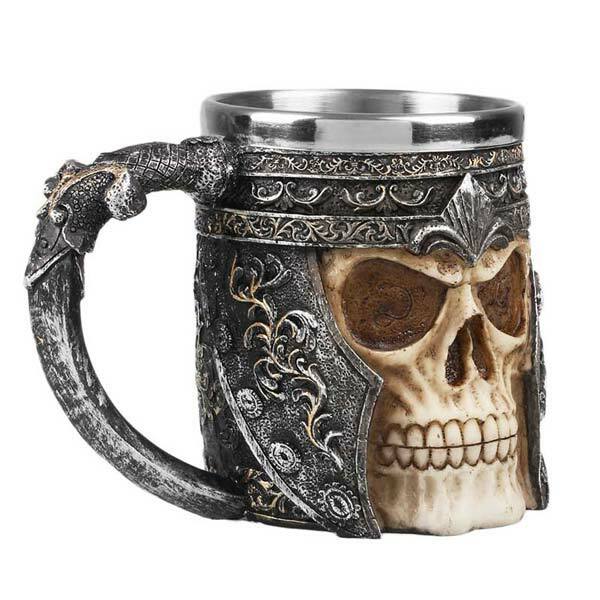 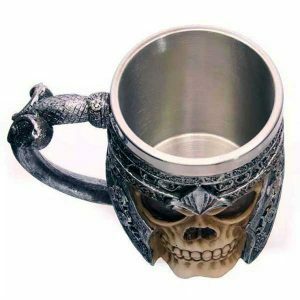 Here is a mug that will scare your enemies, this viking skull mug is made for warriors who aren’t afraid to battle! 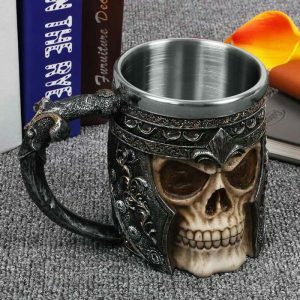 Limited stock, get yours now!